"I finally finished it and would like to share with fellow synth lovers. Except the drums and a bit of tertazzi and sunsynth here and there, the E.P. 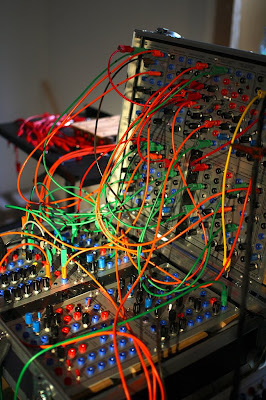 was done on a small buchla and a 5 panel serge. 5 track E.P. exploring random voltages. All tracks are based on underlying drumtracks programmed with analog drummachines. 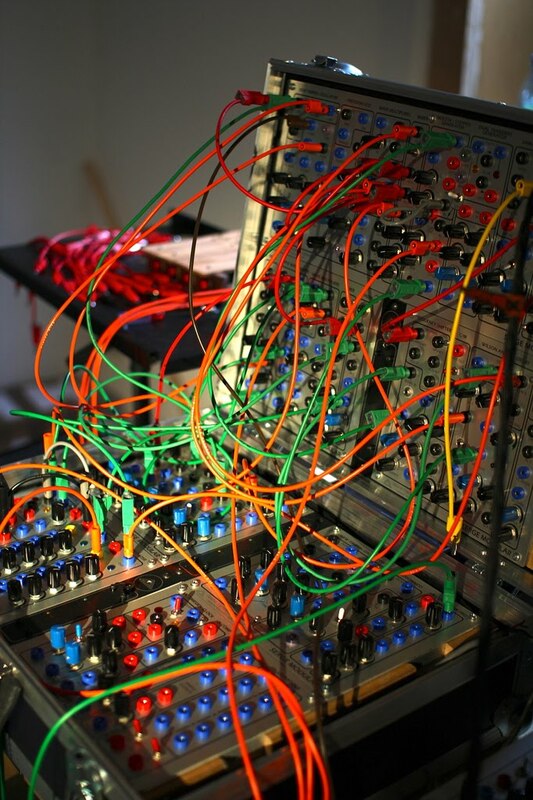 In contrast to the drumlines, the synths are driven by numerous random voltage techniques, using a Buchla Source of Uncertainty, Serge SSGs, Ciat Lombarde gear and a Serge TKB. More randomness was created by crossmodulating sources. E.g. : The SSG used the respective drum machine noise as source for the S&H. Tracks were not arranged, but recorded as multitrack and then mixed/muted later on an analogue desk. Find some "Making Of" pics here"
SRGMO from Franz Schuier on Vimeo. Video for the Track "SRGMO" from the E.P. "a sucker for random". Produced analog with a synchronator, hssji, korg entrancer and an old panasonic video mixer.